Rising Nashville artist-songwriter Steve Moakler has earned acclaim as a co-writer behind Dierks Bentley’s current single “Riser,” also the title track of Bentley’s current project. Moakler is signed to Nashville’s Creative Nation for management; Creative Nation is owned by songwriter/producer Luke Laird and Beth Laird. 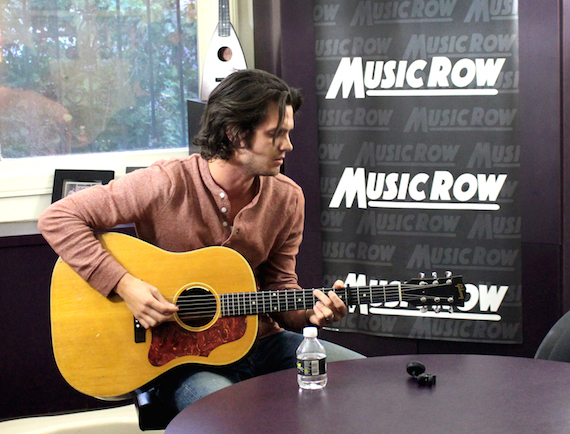 Moakler visited the MusicRow offices to offer a preview of his next solo album, set to release in 2016. The project is being produced by Luke Laird, who earned a Grammy in 2014 for his work on Kacey Musgraves’ Same Trailer, Different Park. Laird also produced Musgraves’ current album, Pageant Material. Moakler is signed to Kobalt for publishing. “We have about nine songs cut so far,” Moakler told MusicRow. The project includes Moakler’s debut single, “Suitcase,” which released today (Nov. 20) on Spotify. The tune, penned by Laird, Barry Dean, and Thomas Rhett, is the only outside song on the project. Moakler recently wrapped a tour, which was created by harnessing the power of social media. “We had this Winnebago, and we wanted to do a few shows, so I put it out on social media, asking if fans wanted us to come play their school, or church, or any other events,” he said. After receiving 125 offers, Moakler and his team were able to take the best offers and route a nearly 50-city tour. 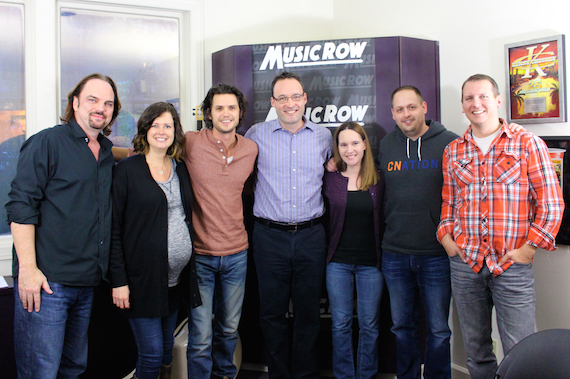 Steve Moakler visits with MusicRow staff.